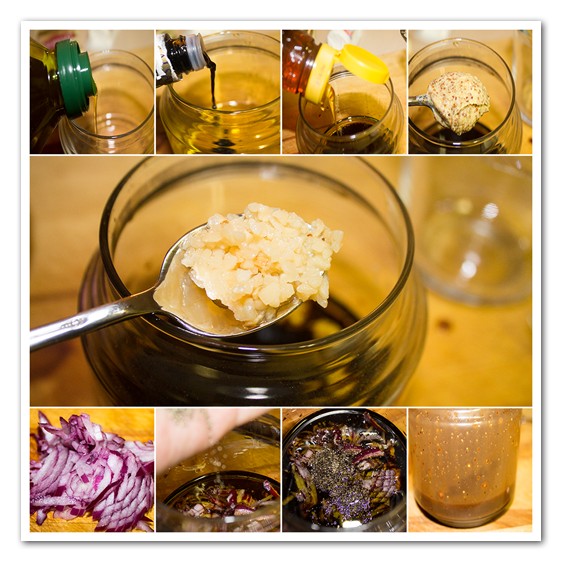 This Goat Cheese Salad Recipe I got from my sister Martha. Simple and tasty. 2. In a hot skillet put the pine nuts and toast them. Keep stirring otherwise they will burn. And there is nothing worse then some burned nuts. 3. Wrap the bacon around the goat cheese and fry in the skillet till the bacon is done. 4. 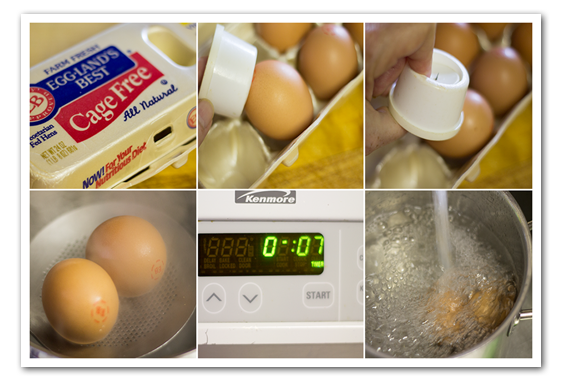 Boil the water, with a needle poke a small hole in the egg and when the water boils add the eggs to the water, boil for 7 minutes. Run under cold water and peel. 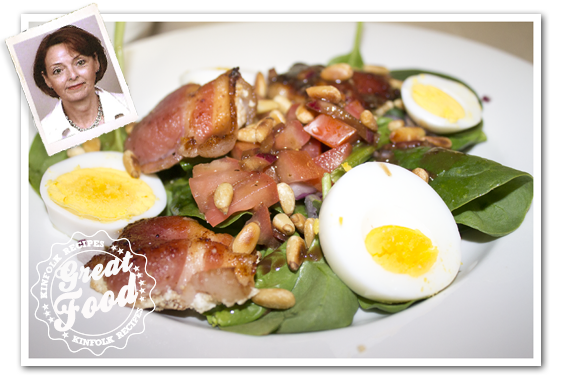 Put the salad greens on the plates top with the bacon wrapped goat cheese, sliced boiled eggs, roma tomatoes and the toasted Pine Nuts. Pour the Balsamic Vinaigrette over the salad. 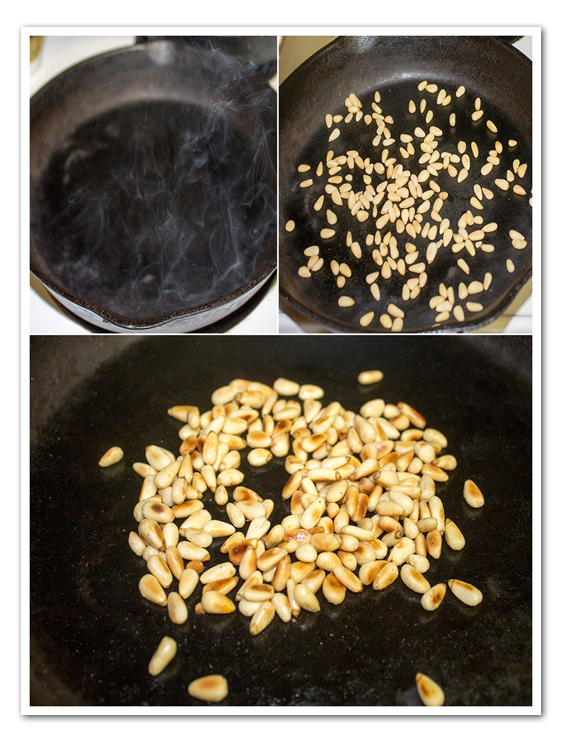 In a hot skillet put the pine nuts and toast them. Keep stirring otherwise they will burn. And there is nothing worse then some burned nuts. 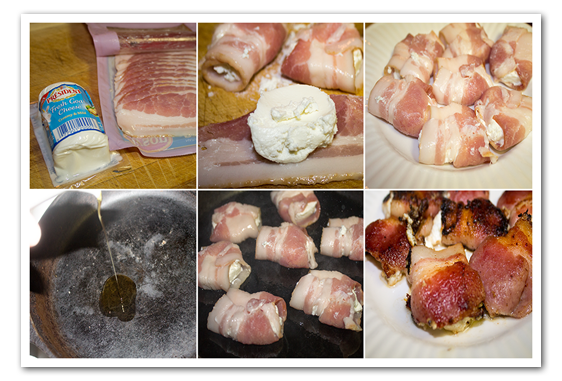 Wrap the bacon around the goat cheese and fry in the skillet till the bacon is done. Boil the water, with a needle poke a small hole in the egg and when the water boils add the eggs to the water, boil for 7 minutes. Run under cold water and peel.